Tourists of course flock to the Golden Gate Bridge and Pier 39, but there are some other quintessentially San Francisco experiences. I didn't include all my favorite in this mini list. Send me your uniquely San Francisco location you like to visit. At the end of a promontory overlooking the Pacific and the Golden Gate Bridge lies a monument to peace, love, and enlightenment. This winding path of rocks was originally set in sand by artist Eduardo Aguilera in 2004, but has become a community creation. 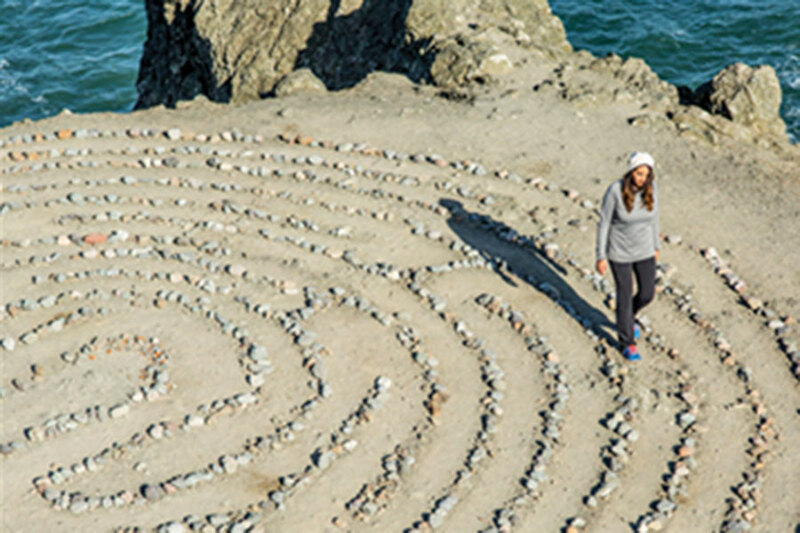 Locals love the zen quality of a quiet stroll through the maze. Every Saturday morning, Harry Denton's Starlight Room atop the Sir Francis Drake Hotel transforms into a den of glamour and mimosas. 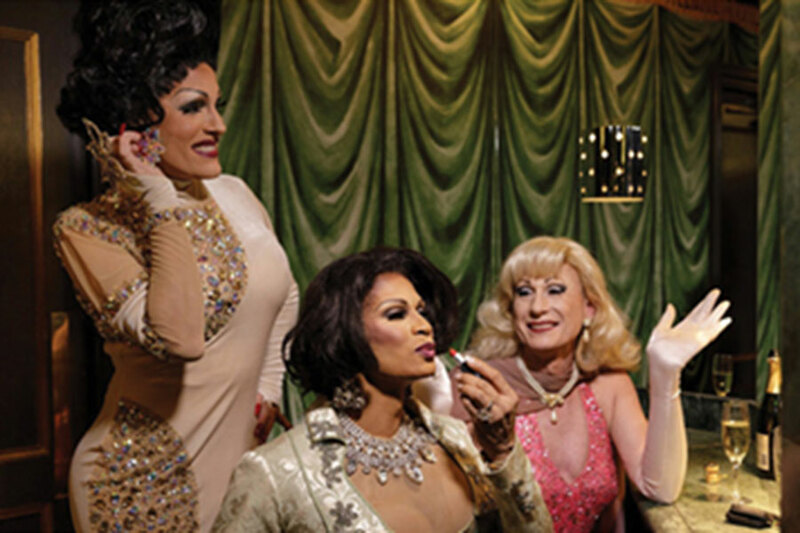 The weekly affair includes a raucous and hilarious cabaret show by the city's talented drag queens, served up with classic brunch items. In the 1950s, artists, writers, and free spirits migrated to San Francisco and began a movement that was the counterculture of the time. The Beat Generation gave birth to a new classic American literature, including Jack Kerouac's "On the Road" and Allen Ginsberg's "Howl." This museum has an impressive collection of memorabilia, original manuscripts, and first editions. Located in Chinatown's Ross Alley, San Francisco's famous fortune cookie factory produces custom variations of the prophecy-holding treat. Visitors can observe how they get those little slips of wisdom inside for free, but it costs fifty cents to take a picture. 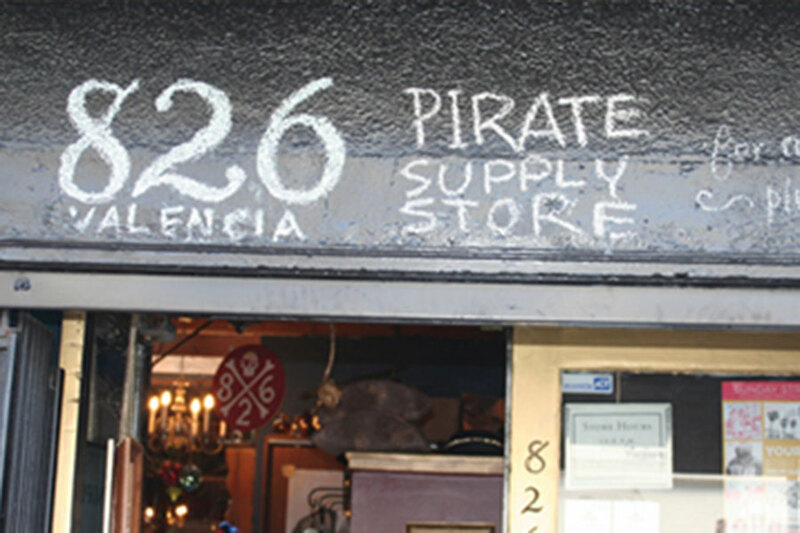 Your one-stop shop for all buccaneer necessities: spyglasses, hand-stitched hook hands, and "Scurvy Begone" lemon gummies. Behind the retail space is a nonprofit youth writing lab founded by author Dave Eggers and local educator Ninive Calegari. Purchases at the store support the free writing program.